Introducing our Lunar New Year Limited Edition design, inspired by the precious bond between man and dog, created in collaboration with Taiwanese artist Page Tsou. 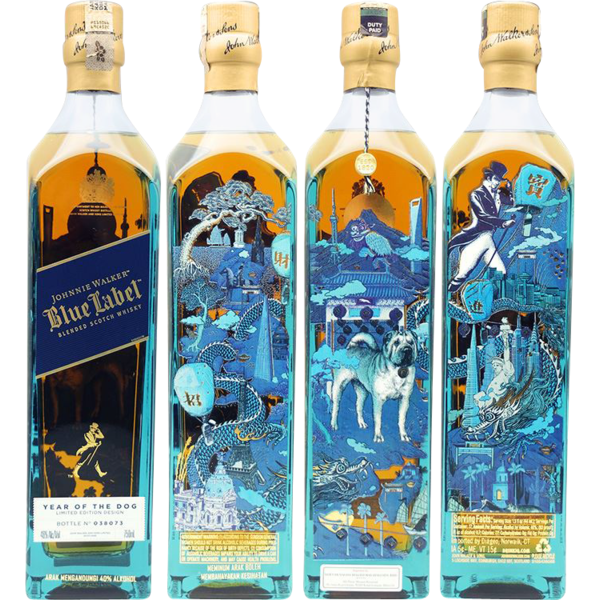 The unique design tells the story of Johnnie Walker and his clever canine companion as they journey around the world bringing prosperity and rejoicing in the arrival of the new year. Featuring the zodiac animal of the upcoming Lunar New Year 2018 and auspicious Chinese symbols and phrases, the Limited Edition bottle makes it a perfect gift to give this Lunar New Year festive season.